The Bishir Prize, named for longtime member and influential scholar Catherine W. Bishir, is awarded annually to the scholarly article from a juried North American publication that has made the most significant contribution to the study of vernacular architecture and cultural landscapes. In judging the nominated articles, the jurors look for an article that is based on primary research, that breaks new ground in interpretation or methodology, and that contributes generally to the intellectual vitality of vernacular studies. Entries may come from any discipline concerned with vernacular architecture studies. Articles published in the two years prior to the VAF annual conference are eligible for consideration. Please note that essays published as chapters in a book are also eligible if the volume is peer-reviewed, published within the time parameters specified, and the research presented in the essay is new. Anthologized collections are not eligible. The Bishir Prize was awarded for the first time in 2012. The Catherine W. Bishir Prize committee is charged with selecting the best article or book chapter from a juried, scholarly, North American publication, released in the last two calendar years that has made the most significant contribution to the study of vernacular architecture and cultural landscapes. The committee, which consisted of Betsy Cromley, Joseph Sciorra, and Richard Longstreth, had no shortage of good material from which to make our selection. We read twenty-eight articled and book chapters from seven journals, including Buildings & Landscapes, and chapters from two books. The caliber of the work was high; most pieces were engaging as well as informative. 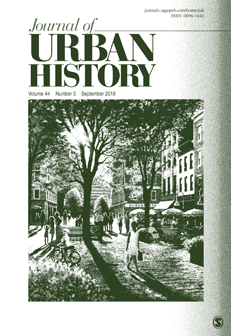 In this competitive arena, the committee came to a relatively quick agreement on giving the Bishir Prize for 2018 to an article by Becky Nicolaides and James Zarsadiaz, published last year in the Journal of Urban History. Entitled “Design Assimilation in Suburbia: Asian Americans, Built Landscapes, and Suburban Advantage in Los Angeles’s San Gabriel Valley since 1970,” this piece breaks new ground in its detailed exploration of the ways in which Asian Americans of wealth seek to embrace Anglo-associated landscapes as a measure of acceptance and status. The authors suggest the richness as well as the complexity of their subject by selecting two, very different kinds of places within their defined geographic area. San Marino, just south of Pasadena at the western end of the valley, has been well-known for over a century as a lair for rich Americans of English-European descent, including Henry Huntington. At the San Gabriel Valley’s eastern end lie the newer, more open and informal, but nonetheless prestigious enclaves of Walnut and Diamond Bar that are also evocative of regional Anglo metropolitan development patterns such as those of the western San Fernando Valley during the mid-20th century. Nicolaides and Zarsadiaz reveal how Chinese Americans have accepted and perpetuated the traditional characteristics of these varied settings in every respect, eschewing all traces of ethnicity in the landscape. At a time when distinction of race and culture are increasingly celebrated, the process the authors analyze underscores acculturation also persists as a means to exhibiting attainment. As with any exemplary case study, the implications of this piece extend far beyond the immediate subject, providing a basic building block in our ongoing exploration of the evolving, multi-faceted complexion of landscape and its inhabitants. The Bishir Prize, named for longtime VAF member and influential scholar Catherine W. Bishir, is awarded annually to the scholarly article from a juried North American publication that has made the most significant contribution to the study of vernacular architecture and cultural landscapes. They should be based on primary research, break new ground in interpretation or methodology, and contribute to the intellectual vitality of these fields. Entries may come from any discipline concerned with vernacular architecture studies.